Home / Dan Aykroyd / Ghostbusters / Harold Ramis / Ivan Reitman / Movies / Opinion / Opinion: Should Hollywood Quit Calling The Ghostbusters? Opinion: Should Hollywood Quit Calling The Ghostbusters? 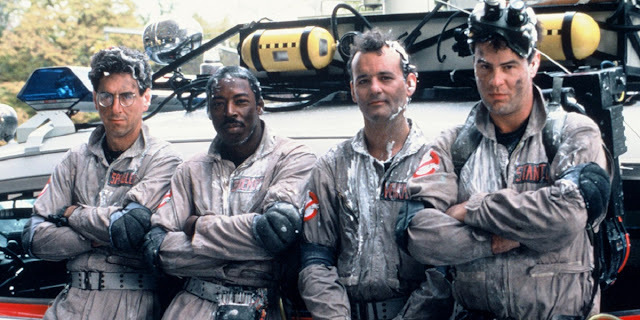 Ghostbusters was one of the first movies that made an impact on me as an '80s kid. I believe it was one of the first films I saw in the theater (based on the collectibles I owned in late 1984) although I don't have any specifics memories. It was funny...it was scary...and I've LOVED every second of the film for decades now. I still watch it several times each year and continue to collect memorabilia from action figures to novelty telephones. I took my oldest son to a 30th anniversary screening and have gone myself other times to watch again on the big screen. Needless to say, I'm a big fan. I do specifically remember going to see Ghostbusters II in the theater and enjoy it almost as much as the original. When Ghostbusters III rumors surfaced in the late 2000s and early 2010s, I was torn about seeing another film mainly because I knew the actors weren't getting any younger. I would have been first in line had it happened, but when Harold Ramis passed away in 2014, I figured that was the end of the film franchise. Then Ghostbusters: Answer the Call came along in 2016. I saw it opening night in IMAX if that tells you anything about my anticipation. But even with my excitement, I'm not sure it ever had a chance to surpass the other two films. For what it was worth, I had fun with it even though I'm still not sure what it was trying to be (sequel, remake, or reboot.) It did, however, carry the Ghostbusters name. So where does that leave the film franchise now? Film producer Ivan Reitman wants to continue providing more Ghostbusters content and is appearing at conventions. A new animated film seems to be still in the development stage. Sony announced a new 2-day fan fest for 2019. Dan Aykroyd, despite his open criticism of the 2016 film and director Paul Feig, continues to promote the franchise through an "Ultimate Ghostbusters Experience." It seems the push is still there for the franchise to be relevant today, but the question still lingers "should Hollywood quit calling the Ghostbusters?" I think I'm finally ready to embrace the realization that I'm ready for Hollywood to disconnect the Ghostbusters phone line. Saying "I'm good" to any new offerings is not something I frequently do. (The Karate Kid remake film is an exception and one that I will never watch.) But I think I've learned something from my experience surrounding Ghostbusters: Answer the Call. now two years removed. I wasn't hyped for the film itself. My enthusiasm came from the peripheral benefits. Ecto Cooler was back in stores. Toy shelf space was created for new merch (including '80s Ghostbusters characters) in stores like Walmart. Cameos and callbacks were littered throughout the new movie and what I primarily looked for. So if all I wanted was to rediscover the nostalgia, isn't it okay to reject the object producing that nostalgia and reap the benefits of what it produces? I say, "yes." There aren't many film franchises that I'm ready to flat out reject remakes, reboots, or 30-year later sequels. I mentioned the Karate Kid remake earlier but I watched and LOVED the new Cobra Kai web series. I still eagerly anticipated seeing my aging Star Wars heroes in the sequels over the past couple years. I can even honestly say I liked the Robocop remake because I have only small roots in the original film series. But my roots run deep for Ghostbusters and I'm no longer allowing cameos and callbacks to drag me into something that I just flat out don't need to spark my nostalgia. That's why I guess I'm ready to hang up the phone on Ghostbusters films and just celebrate the legacy of the first two films. Trust me, it's not easy for someone like me who embraces '80s culture on a daily basis to flat out reject new content that builds from it. But as for Ghostbusters, I'm finally ready to plant my feet firmly in the ground and view any future film only with my binoculars. What do you think about the possibility of future Ghostbusters films?